Barbers are on trend in Canada! Find out how to buy your own Barbers salon. Hip, classic barbershops have become big business, as more modern men indulge in old-fashioned, gentlemen’s grooming services. The traditional barbershop trade has been resurrected and revolutionised, with many men viewing their local barber as a community business. And the trend in Canada is no different! To become a successful barber, you will need to gain relevant qualifications, skills and experience from a recognised school or college. You can also take part in an apprenticeship scheme at a barbershop to gain on-the-job training and experience. However, not having these skills does not exclude you from buying a shop and hiring the right stylists to work in it! Building up a talent pool of barbers does take time but try to set a fair yet profitable fee structure for your monthly chair rental. You do have to be passionate, though, if you are going to own and run your own barbershop. 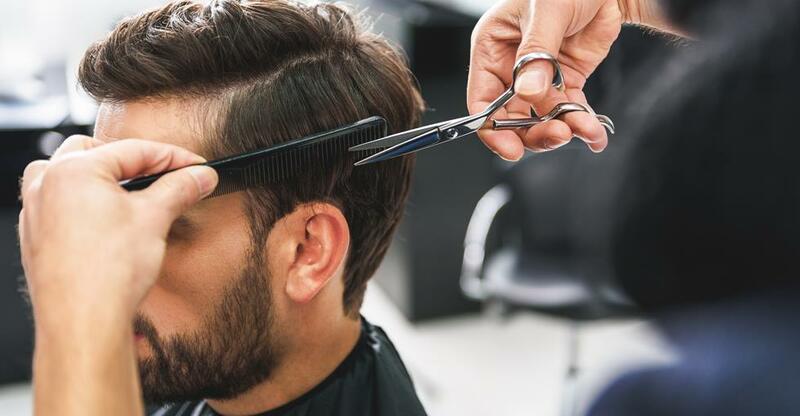 The male grooming industry has gone through a huge cultural resurgence, with many customers seeking the whole experience, as opposed to a simple short, back and sides. As with any burgeoning industry, competition is fierce and there is no place in the market for mediocre. You will need to find a niche for your business, keep up-to-date with grooming trends, source new products, motivate your staff and socialise with your customers. A successful barbershop should have a strong footfall, as many operators rely on passing trade. Large windows and an open, spacious room are essential to entice customers and create a comfortable environment that both clients and staff enjoy. The shop fit out needs to be clean and fresh, with good quality chairs and ambient lighting. If you’re planning on buying a rundown business to fix up, consider how much the renovation work will cost before you make an offer, and allocate time for labour. Most employees working at a barbershop act as ‘freelancers’, and they usually pay a share of their earnings to the barbershop owner. Determine whether you want to keep on any staff; if not, you will need to allocate time to recruit new barbers. Depending on what municipality the business falls under will depend on what type of licenses and permits you will need; find out what permits the current owner has. You can register for your business number online via the Federal Business Registration. It is a business owner’s responsibility to make sure they have correctly applied for all relevant licenses and permits relevant to their business from all levels of government. Most Canadian government websites have a licences finder tool for each industry. There are several options for entrepreneurs seeking a business loan; Canada Small Business Financing Program offer up to CA$500,000 of financing. If you rely on a loan to buy a business, contact your bank to ensure the prospective business meets their requirements. Futurpreneur Canada is a non-proﬁt organisation aimed at entrepreneurs between 18-to-39 years old. Futurpreneur Canada not only provides ﬁnancing, but they also offer mentoring, and they have currently supported more than 12,000 young business owners. Determine what your total budget is for buying and setting up your business, most barber shops start from around CA$100,000, with franchise opportunities in the country’s capital priced higher, at around CA$225,000. Location and turnover figures will affect the asking price. If high competition doesn’t put you off and you’re passionate about the male grooming industry, owning a barbershop can be a lucrative business. Be prepared to be on your feet throughout the day and work long hours for tight profit margins. It is important to remember, you must enjoy talking to your customers as much as you like the practical sides of being a barber. The time each customer spends in the barber’s chair is a chance to get to know them more and build a stronger relationship.